There was some fear that Jamal Charles was beginning to impede upon CJ Anderson's lead back role, but those concerns were mostly put to rest with a 20 carry outing last week. Anderson has even added some versatility to his game with 9 catches over the past week, boosting his value in PPR leagues. The Giants are an absolute tire fire and the Broncos will likely be running out the clock for the majority of the game. Look for ample opportunities and a big game for Anderson. A year after completely abandoning it, the Detroit Lions have committed to the run in 2017. Because of this, Ameer Abdullah is averaging a robust 15 carries a game. 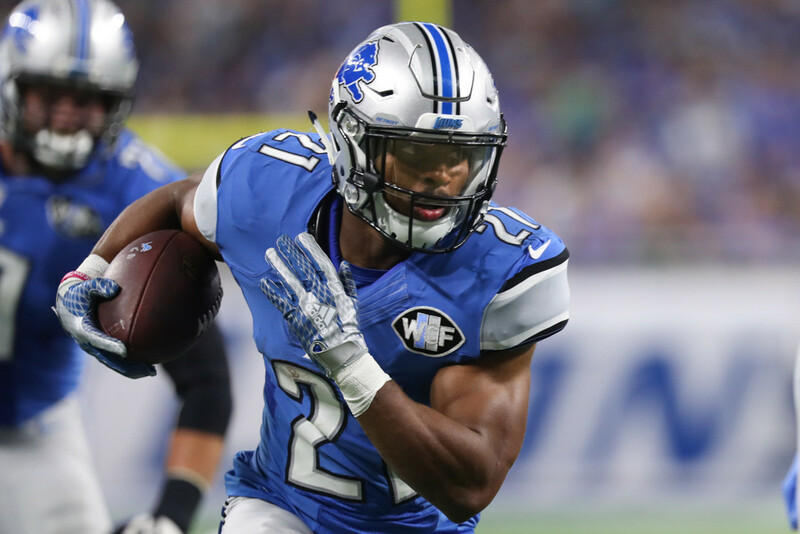 While the Lions were in comeback mode for most of last week, they should be in the game against the New Orleans Saints. Add in the fact that the Saints have the 27th ranked run defense in the league, Abdullah should see plenty of work and plenty of fantasy points in week 6. Miami's offense has been in complete disarray, and may even have a quarterback change coming, but there is one consistency. Touches for Jay Ajayi. He's averaging over 20 touches per game, a floor that only 4 other running backs maintain. Atlanta is allowing the 11th most yards per carry in the league, and has a mediocre run defense. Ajayi's volume alone makes his projection closer to his floor with plenty of upside. In his first game back from his suspension, Doug Martin looked explosive and confident en route to a 74 yard, one touchdown performance. However, Tampa Bay clearly eased Martin back in to the game plan as he was only on the field for 20 snaps. Look for those snaps and total carries to increase. Arizona is not allowing large rushing totals, but their turnover issues have let opponents put up a lot of points. Doug Martin should be active and in line for a score making him a good buy low candidate on a conservative FFC projection. James White has caught 7 or more passes in three of his last four games. That output alone would guarantee him a better week than his current projection. The Jets defensive stats are misleading, they are allowing a lot of yards on the ground, but most of that has been to change of pace backs and running quarterbacks. Because of that, look for James White to do more damage than the between the tackles running of Mike Gillislee and outpace his projection.